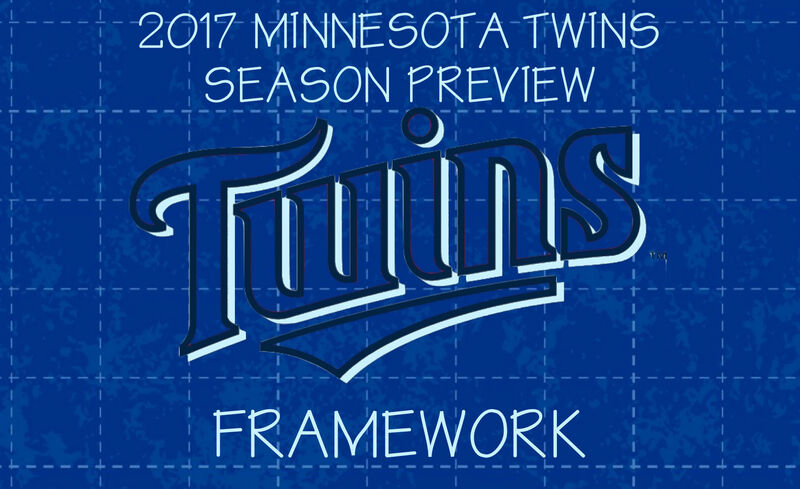 Are the Minnesota Twins building a framework of winning baseball? The Minnesota Twins begin the 2017 season with new hope as they enter a new era of their franchise. After hiring a new Chief Baseball Officer in Derek Falvey and a new General Manager in Thad Levine, the Twins seem headed in the right direction. Of course, it’s hard to go anywhere but up after a 103-loss season but, with this new regime taking over the organization, the feeling is they will turn this team around and, maybe, they weren’t as bad a team as their record showed last season. Last season was the worst season in this franchise’s history in terms of the number of losses but how many of the losses and how bad the season was can be attributed to a young team that couldn’t get over the hump with a big hit or not enough leadership in the clubhouse? It was a season most people would like to forget but, the players that went through it can learn from that season, too. Even if it’s something as simple as never wanting to go through that again can help them now and in the future. Learning how to win can come from knowing what has made you lose in the past. There is talent on this team. Most of that talent is in the field or at the plate rather than on the mound but still, there is talent and it’s talent that can be a big part of turning this team around. Don’t get me wrong, there’s some talent on the mound, too. It just might not be enough talent. That’s where Derek Falvey and Thad Levine come in. They are known for having a background steeped in pitching. They have been able to find and develop pitching that has helped their teams get to the playoffs. Thad Levine humorously just answered, “Yes.” Derek Falvey elaborated on the question, saying they don’t like limiting any player and they want to maximize every player’s potential. He used Indians ace Corey Kluber as an example saying that he didn’t come up through the minor leagues as that prototype guy. Thad Levine said they think there is somebody in their farm system that can get to that level. They just don’t know who that is yet. Someone or many will overachieve their potential and turn Minnesota Twins pitching into a strength instead of a weakness. That is what is so exciting about this season. They will use every way possible to develop the pitchers currently on the roster and, maybe, more importantly, develop the prospects they have coming soon and also to scout pitchers (and players) they might draft with the number 1 pick and the entire 2017 MLB Draft. Can a tweak in any given pitcher’s mechanics make them into a better pitcher? Or a different pitcher? How much better? How long will it take? A good example of a veteran pitcher is 29-year-old right-handed starting pitcher Kyle Gibson. He’s always had a ton of potential, advancing from High-A to AAA in his first professional season. Gibby’s biggest problem has been finding consistency from start to start where he can be the best version of the pitcher he should be. He’s been up and down on almost a month to month basis where he’ll be great for a while then struggle. If he can be the same pitcher every start, he should be an above .500 pitcher and be a key to this team getting back to competitive baseball again. You can say the same thing about every pitcher in the organization. From your opening day starter Ervin Santana to a pitcher ready for the next step like Jose Berrios to a pitcher just hitting the higher levels in the minors like Kohl Stewart to a pitcher just drafted in 2016, any one of them could improve with a tweak to their mechanics, changing a grip on a pitch or two, moving one way or the other on the rubber, or adding a new pitch to their repertoire. Maybe they see something in Hector Santiago which explains why they kept him, too. Pitching and defense are a huge part of helping a team win. That is precisely why Derek Falvey and Thad Levine had Jason Castro as their primary target in free agency. As a catcher, Jason Castro helps both the pitching and the defense so they addressed two weaknesses with one signing. Signing Jason Castro to a 3-year, $24.5M contract probably seems a little too high. That’s because the first thing most fans will look at are his stats and they will be underwhelmed. The majority of fans just look at the standard stats, with most of those being on the offensive side of the game. Mr. Castro won’t wow you with his bat, which isn’t to say he can’t hit, but it’s not the reason he’s getting that big contract. Casual baseball fans might not understand how much a catcher has to do with the pitching staff and the entire game. * In fact, they are really like quarterbacks behind the plate, a leader in the field and in the clubhouse. Being called a “catcher” really limits what they do on a day-to-day basis. *This is also a big reason why Joe Mauer is still being paid $23M a year but, that’s a conversation for another time. With his pitch-framing, Jason Castro will help the pitchers get more called strikes. Changing a ball to a strike will also change the behavior of the hitter and slightly widen the strike zone. Castro was ranked the 5th best overall at pitch-framing with 12.8 runs above average. Compare that to Kurt Suzuki who was 5 runs below average and the Twins could save almost 18 runs with a better pitch-framer. We’ve all seen how a strike being called a ball or a ball being called a strike can affect a game. A catcher also has to be a leader. Leadership was another area where the Twins struggled last season. A catcher leads by knowing his pitching staff, knowing their pitches, knowing how they want to pitch and knowing how to use all of that information to get the opposing hitters out over the course of an entire game. They have a gameplan for the opponent and each of the opponent’s individual players. They are also part-time psychologists because they have to know how to motivate the pitching staff, get them to calm down if things aren’t going well and figure out how to get the best out of them. Then, of course, there’s the actual playing the game part. That’s somewhat important, right? Jason Castro’s defense will help stop the opponent’s running game with his arm and when to call for a pitchout and/or a pickoff throw. Speaking of defense, we have come to yet another weakness the Twins have to fix in order to start winning more often. They’ve got some areas that are very good and should be for a long time but there are, of course, some areas that still need some work and will require some patience. The strongest area is the outfield, predicting Eddie Rosario is in left, future gold glover Byron Buxton is in center and Max Kepler is in right. All 3 of them are young and they are above average defensively. They are slightly above average at 1st base with Joe Mauer as the starter and at 2nd base with Brian Dozier. The areas of concern are at shortstop with Jorge Polanco and 3rd base with Miguel Sano. Something that comes from a team trying to take the next step is figuring out if Polanco and Sano can hold down the job defensively on the left side. It’s been said that Miguel Sano’s natural position is 3rd base. Natural usually means that’s where they aren’t meant to play and we did see him make some great plays at the hot corner last season but we also saw a lot of bad plays like infield fly balls that dropped to the ground. Give the man credit though. He used the offseason to workout to get in better shape and to work on his defense. He has a rocket for an arm and is pretty good coming in on bunts. We’ll see how he progresses through the season. The Twins moved Jorge Polanco to 2nd base a couple years ago, moving him from the shortstop position where he had played most of his career. Was it due to arm strength, defensive range, throwing accuracy, or just trying him out at 2nd base because he really never looked like he’d make it as a major-league shortstop? The Twins are no stranger to having a new starting shortstop as a season opens. They’ve only had one shortstop since 2004 that has started 2 seasons and that was Pedro Florimon. It’s pretty crazy that they haven’t been able to find and/or develop a shortstop in 12 years. Is it impatience at the major league level, giving up on a player too soon? Or is it giving up on a player too soon in the minors? Or did they actually never have anyone capable of being their shortstop for an extended stay? Whatever the answer is, it doesn’t paint a good picture of the old front office and the scouting department. They claimed shortstop Ehire Adrianza off waivers from the Milwaukee Brewers in early February mainly for his glove. He’s average at best with the bat but he does have decent on-base skills. Knowing defense helps teams win, Falvey & Levine probably want a fallback option in case Jorge struggles at short and they want that fallback option to be solid defensively. The bottom line is, for the most part, the same as it has always been for the Minnesota Twins. If they pitch well and play good defense, their offense is good enough to score enough runs to win games. That offense was 16th in all of baseball and 9th in the American League in runs scored last season. That’s 4 ½ runs per game and it can easily go up with good years from Miguel Sano, Jorge Polanco, Byron Buxton, Joe Mauer, Max Kepler, Byungho Park at some point and a new hitting coach in James Rowson. This is The Dawn of a New Era of Minnesota Twins baseball. Winning is coming. It’s just a matter of how soon. This is a baseball team with a lot of talent. Can some confidence individually and as a team get them there as soon as this season? That’s a lot to ask. I’m predicting 75+ wins. Thanks for reading our TwinsTakes on the 2017 Minnesota Twins season. We’d love to hear what you think or your ‘Takes on how you think the Twins will do this season. We’re on Twitter, Facebook, and Google+. We also post most of our articles on TwinsDaily.com. Our 'Takes, Your 'Takes, TwinsTakes.com!